It seems like a tale as old as time. Many people are wanting to move to Seattle, but no one else really wants to leave. This leads to our favorite real estate headline for the last several years: inventory is low, prices are rising. 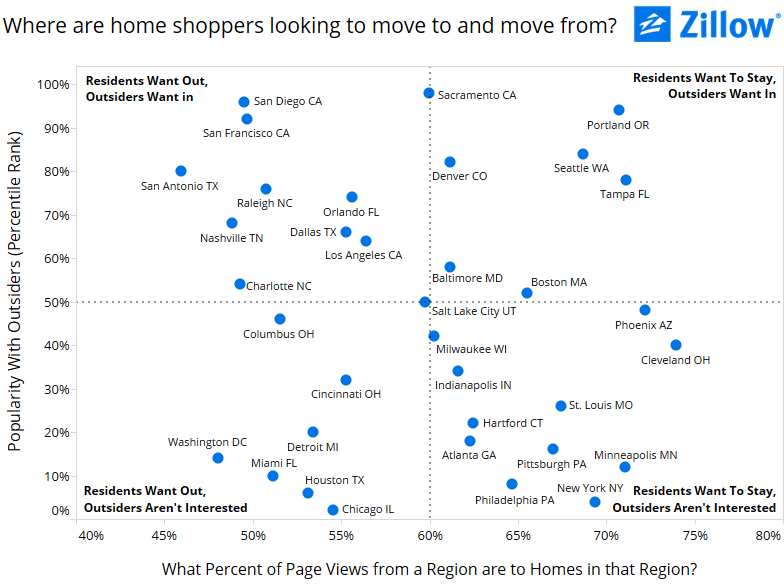 Seattle-based Zillow recently analyzed searches on their website and compared the location of its users with the cities in which they are searching. They used this information to create a chart of the most desirable cities based on their popularity with outsiders and current residents. Unsurprisingly, Seattle ranked high in the category “Residents Want To Stay, Outsiders Want In” with about 70 percent of current residents continuing to search here. It isn’t just our breathtaking scenery and active lifestyles making the Seattle area’s population grow by nearly 1,000 residents per week over the last several years. Our strong economy and plentiful technology jobs are enticing newcomers. Some areas on the Eastside even have higher home prices and carry some pretty stiff competition. 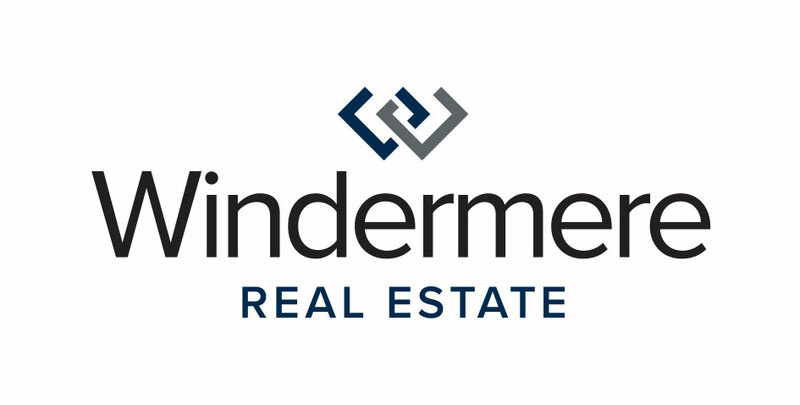 If you are ready to buy or sell your home, make sure you get in touch with a Windermere Real Estate broker on the Eastside. Our expertise can help you purchase your dream home, or sell your current home at top dollar. View the full study from Zillow or read the report from the Puget Sound Business Journal. You’re Invited to the Windermere Cut Party! Come join us at the Windermere Cut Party on Friday, May 5 as we kick off Windermere Cup weekend! On Friday night, we’re holding a Cinco de Mayo party to celebrate another year of the annual Windermere Cup. We’ll be on the Montlake Cut with taco trucks including El Camion, Taqueria Tonita, and Tacos La Flaca. Keeping you entertained all night will be live music from Brian DiJulio and the Lovejacks and Spike & the Impalers. Mark your calendars and purchase your tickets! We’ll see you on the cut with tasty tacos, live music, lawn games, and a fantastic beer and margarita garden from 6-10pm next Friday, May 5th. Don’t forget! You can come back down to the Montlake Cut the next day on May 6 for Seattle’s biggest free sporting event – The Windermere Cup. More info on WindermereCup.com.